Peter was born in Northern Ireland, where he obtained an Honours degree in Psychology at Queen’s University, Belfast. 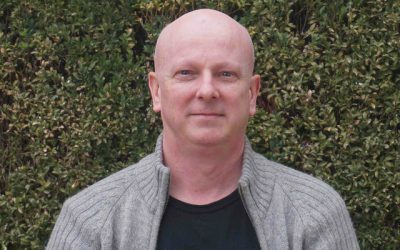 After working as a government criminologist in London, Peter moved to a similar role in Perth, Western Australia in 1997. In 2001 he moved to Canberra and settled in Captains Flat in 2002. He has been an active member of that town’s Community Association and Rural Fire Brigade since then. He has worked in this region in the fields of community mental health and corrections. Peter served on Palerang Council from September 2012 until it was abolished in May 2016, and continues to serve on the newly created Queanbeyan-Palerang Regional Council. He is a passionate about openness and integrity in government, the environment including indigenous and post-settlement heritage, and social justice. Greens councillors will work to deliver a comprehensive climate action plan for Queanbeyan-Palerang Regional Council (QPRC) and community including a target of zero net greenhouse gas emissions by the year 2050. This target is the same as the NSW Government greenhouse gas emissions reduction target and supports the global goal to keep temperatures within safe limits. Council needs to develop a clear pathway to meet this target both for its own operations and for the wider community, and report on progress annually. At a minimum, the QPRC should aim to achieve 26-28% emissions reduction on 2005 levels by the year 2030, which is the same as the national target. There is plenty of scope to reduce greenhouse emissions by investing in key areas of council operations and community and business activity. Taking strong action on climate change can deliver many social, environmental and economic benefits for our community. Action to date on climate change by the former Palerang and Queanbeyan councils has been inadequate. Set a modest greenhouse gas reduction target for its own operations in 2013 but performed poorly on emissions reduction, with emissions rising in most years of the reporting period. Stopped publishing sustainability reports, which included progress towards the target, in 2015. Did not set a target for the Community Climate Change Action Plan (CCCAP) as was promised for 2014, and provided no annual reporting of the CCCAP. Prepare a climate action plan and target for the council’s operations to achieve zero net greenhouse gas emissions by 2050, which is consistent with the NSW Government. Investigate council hosting workspaces and promoting local employment to reduce the need for commuting (particularly in Bungendore, Braidwood and Googong). Such spaces can be rented to government and private employers and community groups. Enabling more people to work closer to home can help keep money circulating in the local economy and reduce the need to travel daily. Promote local employment by government and private sector. Develop a scheme to help low-income households invest in energy efficiency and renewable energy. Protect the existing urban canopy and expand tree cover to improve cooling, provide habitat for wildlife and slow wind speed. Identify land for more community gardens and work with groups to establish them. Encourage new businesses that recover resources and reduce waste and otherwise divert resources from the waste stream. allocating $20 per year per resident to roll out more cycleways. This combined with grant funding to achieve a 1% improvement in cycling’s share of trips annually. Improve and extend community transport services.